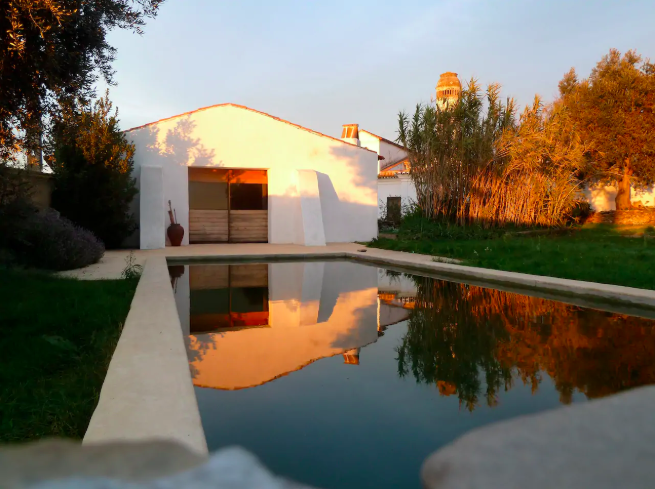 Six days in Casa de Torre Alentejo, Portugal, a traditional Portuguese country house, on the edge of a small village, surrounded by beautiful unspoilt countryside. Casa de Torre was built in 1889 and has been lovingly restored using traditional materials, sits in a 2600 sqm garden with its own fruit trees and beautiful swimming pool. Start the morning with Yogic cleansing techniques before a ninety minute dynamic class, followed by a post practise superfood smoothie. Brunch will be served in the late morning and available to eat when it suits throughout the day. From midday have free time to explore the local beaches, lakes and nature reserves or just hang by the pool. The house is spacious and serene if you want to just relax there will be plenty of time and space. If you want to explore, we are fifty minutes from the Costa Vicentina, Portugal's “wild Coast”, protected by strict environmental laws there is no development here only wide, wild beaches with sand dunes and cliffs. Short five kms from the house there is a lake that you can swim in and local walks around the area. To the east there is another nature reserve, recommended for wild swimming and neolithic ruins. In the afternoons we will take our second ninety minute practise of the day, alternating between Yin yoga, acupuncture and workshops. Dinner will be served family style out by the pool. The atmosphere will be relaxed with everyone taking and enjoying what they want from their experience - everything is optional. Plenty of space to be as introvert / extrovert as you feel! We may take one evening to eat out together at a local village or go all together to the beach for lunch - to be decided by the group. Space are very limited, only four bedrooms, two doubles and two twins. A £250 deposit is required to book your space and is non-refundable. Payment plans available, total to be paid one month before the start of the start of the retreat. Early bird offers must be paid in full by the end of February. The price of flights and transfers are not included, but once you have booked we can recommend flights and help organise transfer groups for those of you on the recommended flights. Lisbon Airport is about an hour and a half drive and Faro Airport about an hour, so flights from either can work. We recommend considering hiring a car so that you can explore the coast and countryside during your stay. Don’t hesitate to get in contact if you’ve got any questions!